A modern take on a historic Irish shoe. One allowing water to drain when crossing wet terrain such as a bog. 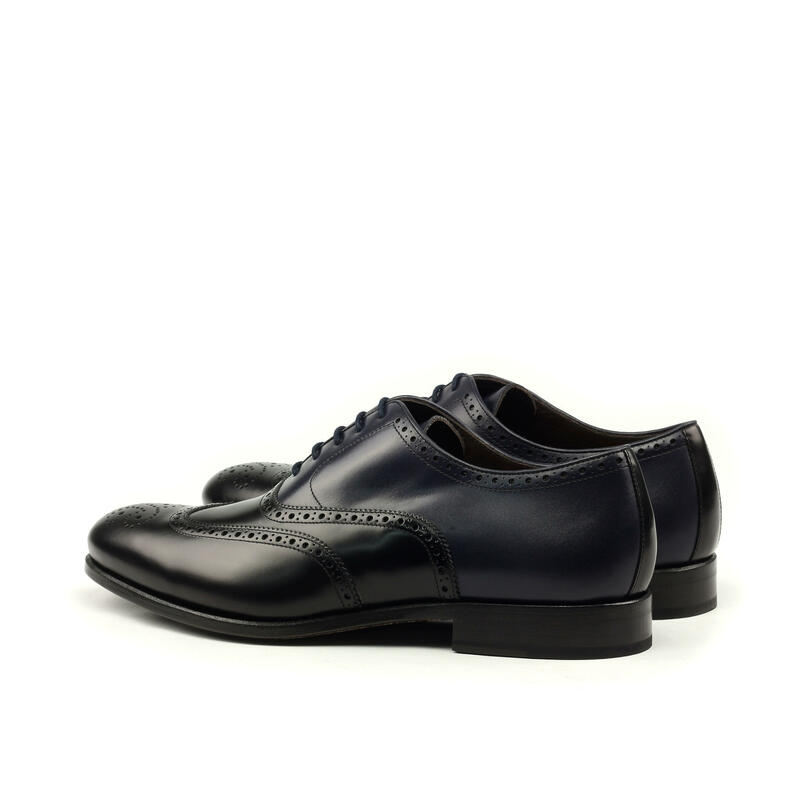 •Rich black & navy polished calfskin uppers. 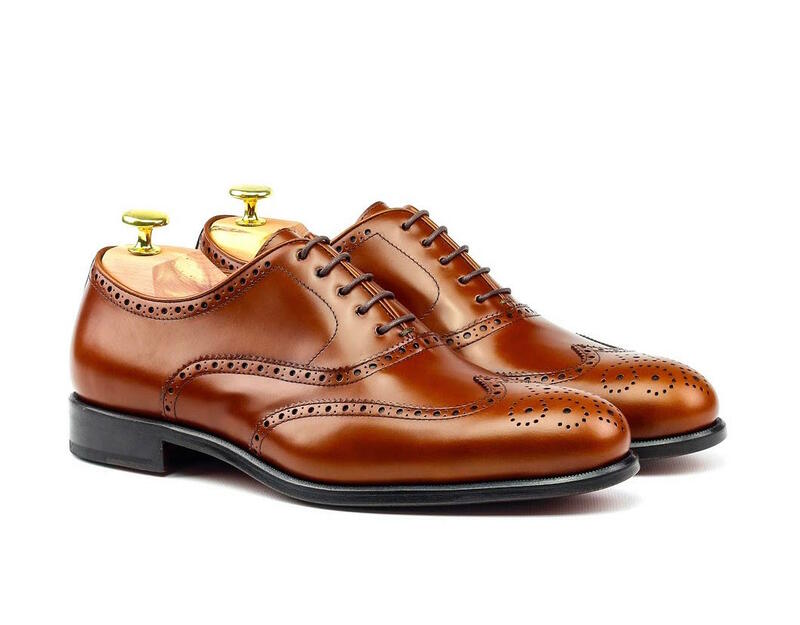 •Hand punched full brogue detailing. 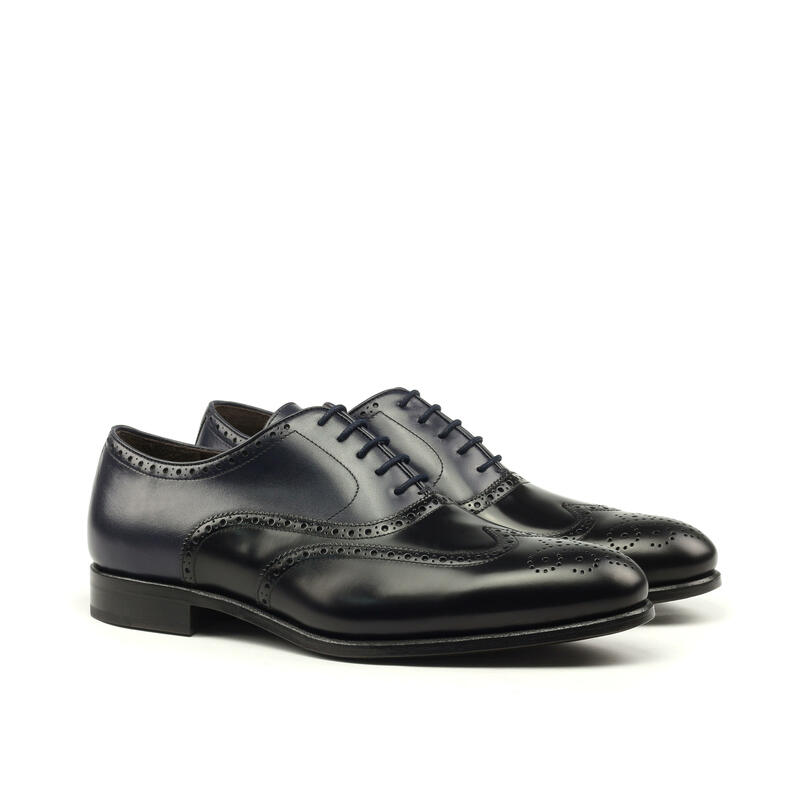 •Black hand painted Goodyear Welted calf sole.